In order to stimulate the tourism flow to St. Petersburg, the local government suggests to incorporate the e-Visas for foreign citizens. 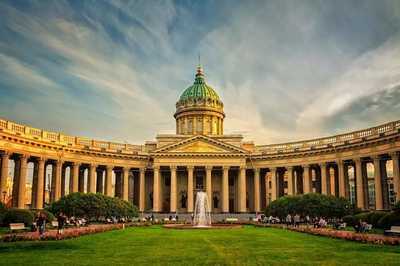 The proposal, prepared by the tourism development committee of St. Petersburg, has been already forwarded to the president of Russia and the Chairman of the Federation Council Valentina Matviyenko. The option of the e-Visa was negotiated in relation to the foreign visitors coming for sport events or visiting congresses and exhibitions. These categories of tourists have a least migration risk, and can increase the tourists' inflow into the city up to 30%. Nonetheless, the head of the Committee of Tourism Development of St. Petersburg Mushkarev has highlighted that the e-Visa would not make the procedure easier: the consular fee stays the same, the set of the documents remains the same. The difference is in the way the documents are being provided, which increases the speed of the data transferring and rises the security level. The decision regarding the new proposal of e-Visa services is expected to be solved in several years, as decisions on these matters require detailed consideration of every aspect. Earlier the Federation Council has approved the e-Visa bill draft for the Free Port of Vladivostok. The council of Vladivostok expects that foreig travelers will be able to obtain e-Visas starting from 1st of July. According to the bill, tourists would be able to visit any of the five Far East regions: Primorsky region, Khabarovsk region, Sakhalin region, Chukotka region and Kamchatka region.